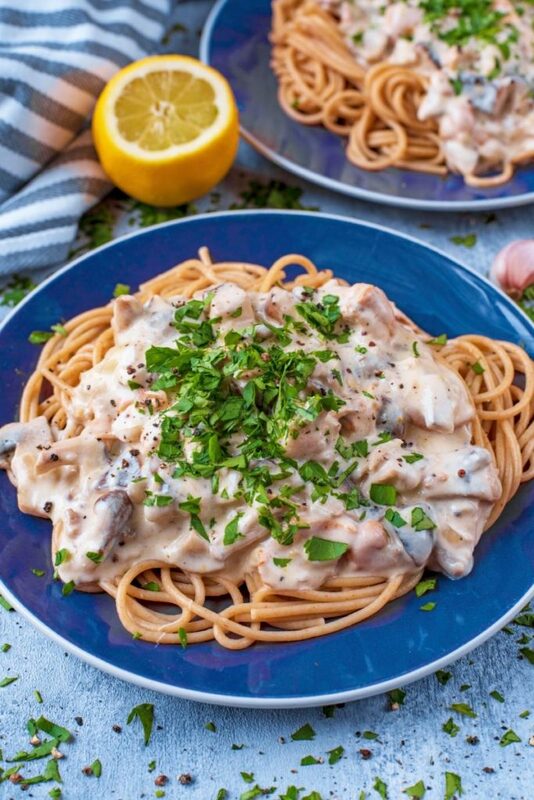 I grew up hating mushrooms but for some reason I have acquired a taste for creamy mushroom sauce and pasta. This recipe sounds right up my street! 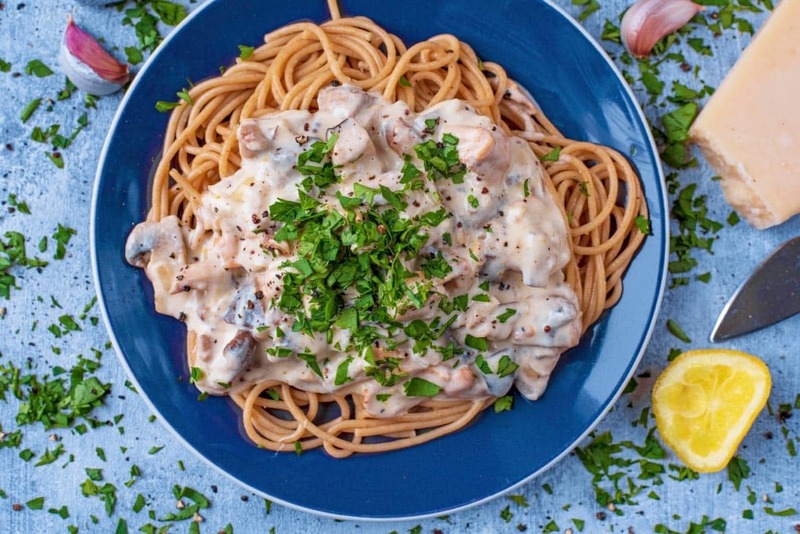 This pasta looks so tasty and I love garlic so I would happily serve it. I bought my daughter this multi cooker when she went to uni in September and sadly I think she has only used it twice. But I will send this link to her and hopefully it will motivate her to use it more. This looks like my perfect meal, three favourite things in one! Yay love seeing more veggie recipes, looks great! 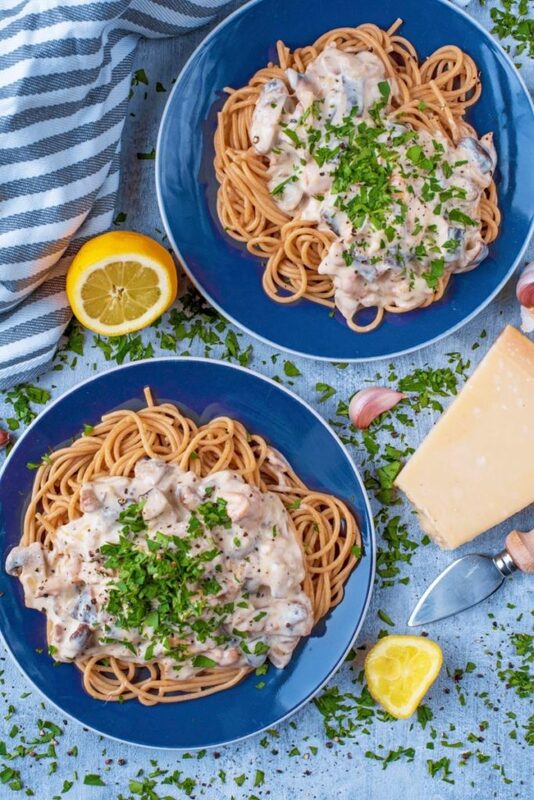 Lovely recipe to try out. Thanks for sharing. 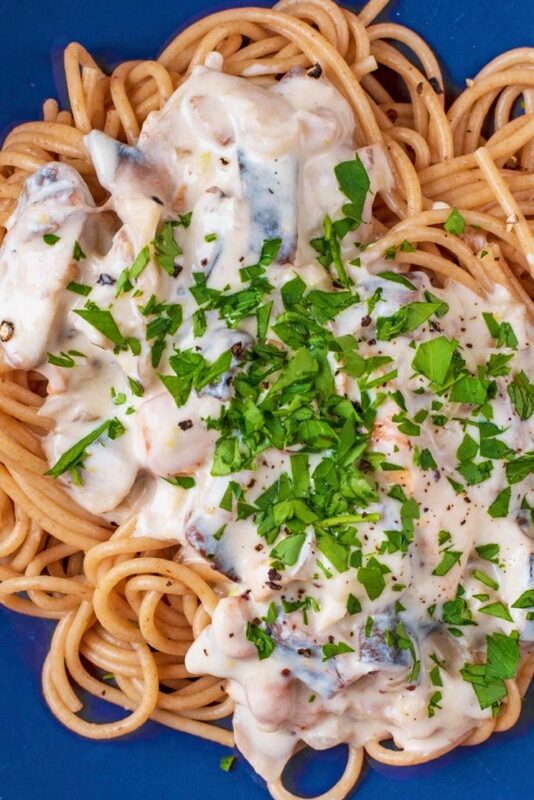 This is a delicious pasta dish. 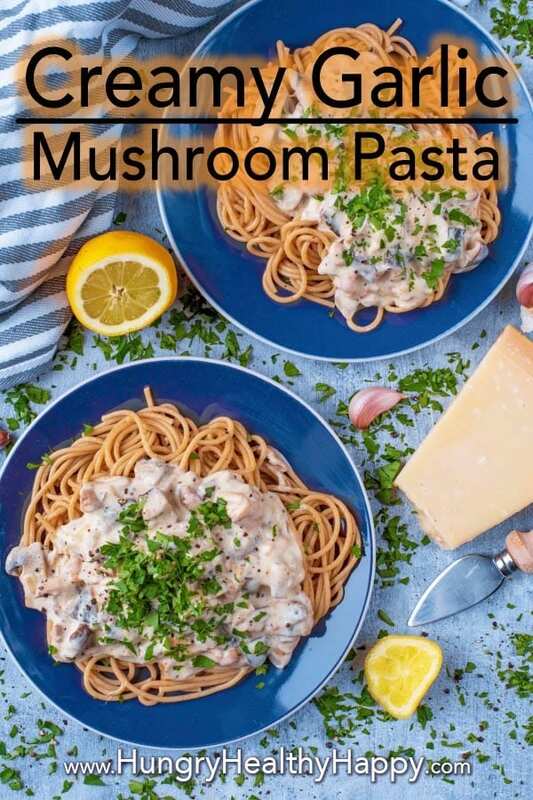 I love creamy mushroom pasta and I would go for wholemeal too. It fills you up much more and once you get used to wholemeal white pasta won’t taste of much. Looks absolutely lovely. It also doesn’t look too difficult to make which is a bonus! It’s reminding me of the lovely white Lynne and I have got chilling in the fridge for this evening. 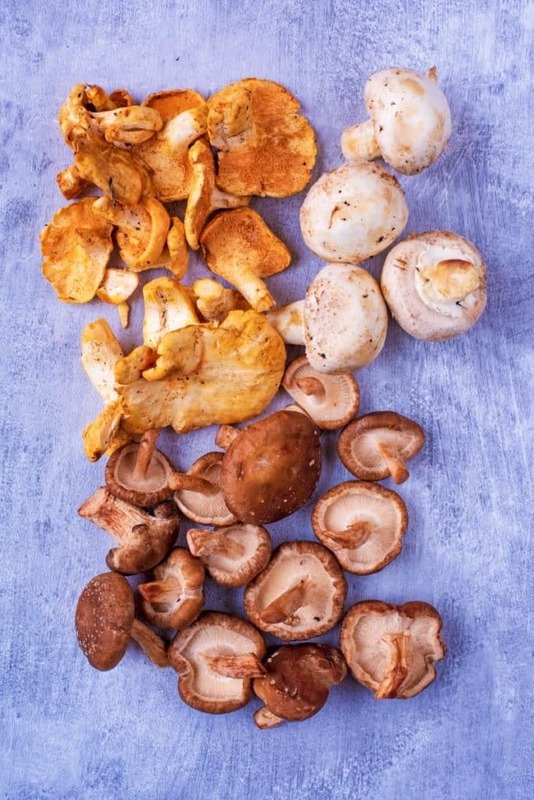 Quite possibly one of my favourite dishes, I love mushrooms! What a delicious bowl of goodness.Perfect with aside salad. Oh wow! 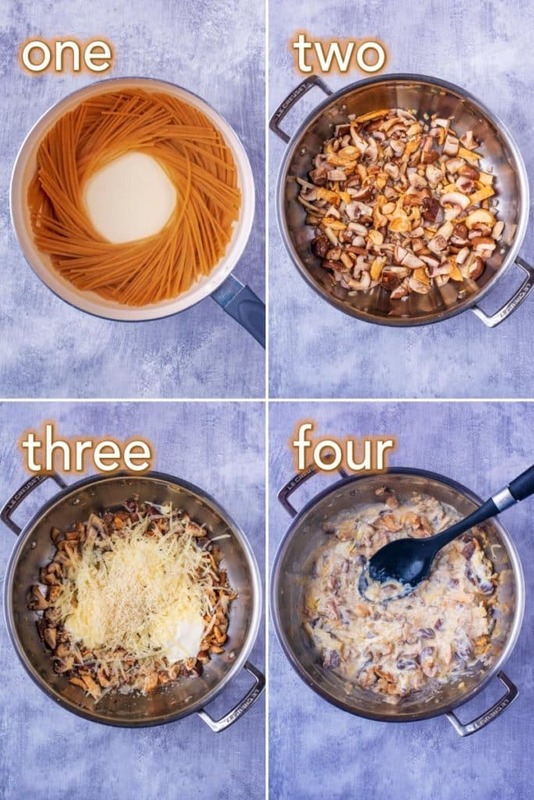 This looks amazing and so easy – pasta is one of my fav things to cook up. I will definitely be bookmarking this to try tomorrow night! Thank you lady! Wow – that is a lot of garlic! 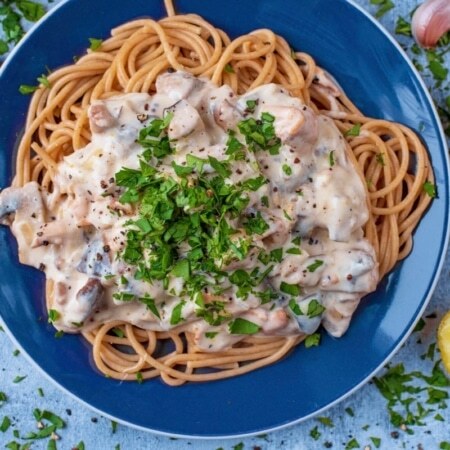 Greek yoghurt in pasta? I have never heard of that before. But I trust you 😉 Maybe some asparagus would be good in this too?